A polar expedition of unspoiled beauty & isolation not often found in today’s world. This is the ultimate adventure for people who want to push themselves to achieve the extraordinary. An adventure for the adventurous. This Antarctic expedition to the South Pole involves a long & strenuous 730mile trek over 50-60 days. 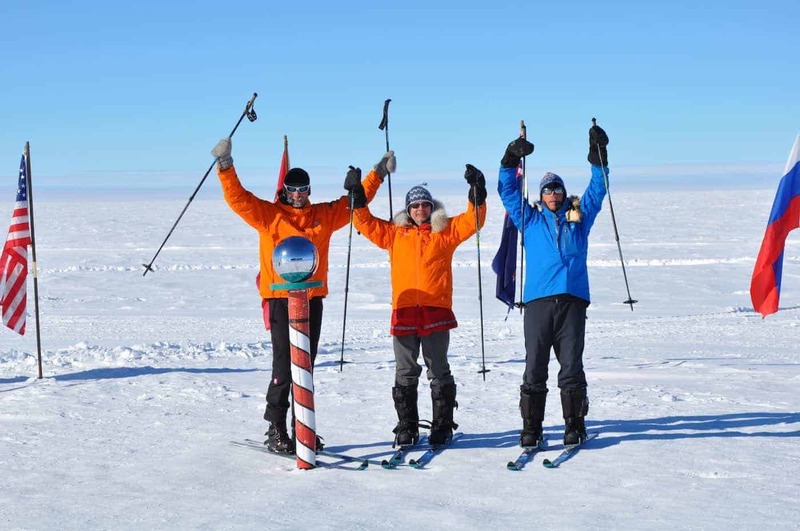 All about the Expedition To The South Pole All the Way, 62 Days, Polar Expedition. Of the ample adventures to dream of in this world, there are very few which appeal to the spirit more than an opportunity to travel unencumbered in the Antarctic continent. 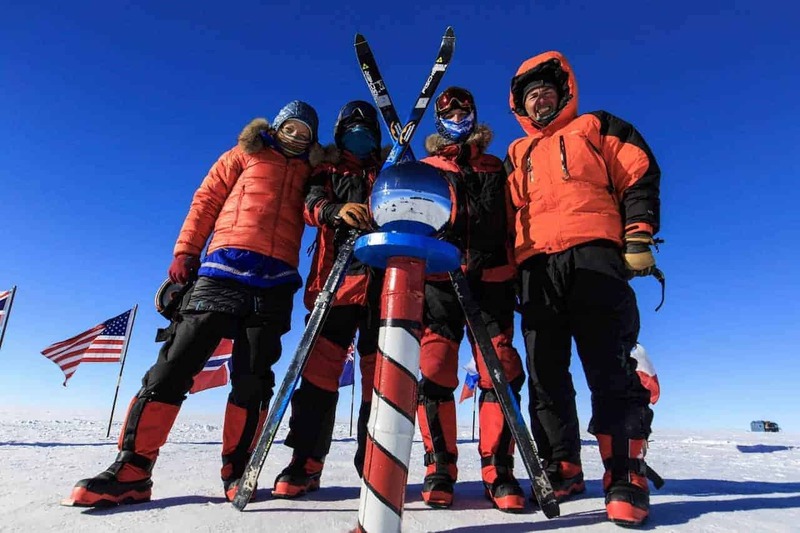 This incredible Trek To The South Pole journey to the southernmost point on earth involves a long and strenuous 730mile/1170km trek over 50-60 days. This is anything but an expedition for the lighthearted as it entails vigorous activity for a very extended period. 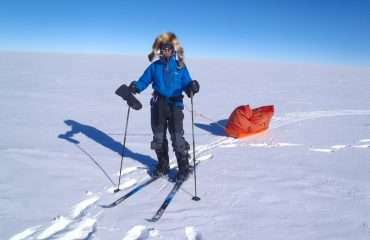 Once established at the edge of the Antarctic continent, we travel totally non-mechanised, with all team members hauling sledges and becoming fully immersed in the challenge. An expedition of unspoiled beauty and isolation not often found in today’s world; this is a highlight trip for those with a healthy work ethic and a genuine sense of adventure! Antarctica has held the imagination of the entire world for over two centuries, yet the allure of this remote continent has not diminished. With huge advances in modern-day technology, travel to any part of the world seems to be considered a ‘fait a complis’. Yet Antarctica still holds a sense of being impenetrable, a place where man has not tamed nature. Antarctica is a place of adventure. A frontier where we are far removed from our normal ‘safety net’ and where we need to rely on our own resources and decision making to survive. It is in these environments where we are truly in touch with nature, where we can embark on a journey of discovery of remote and untouched places. 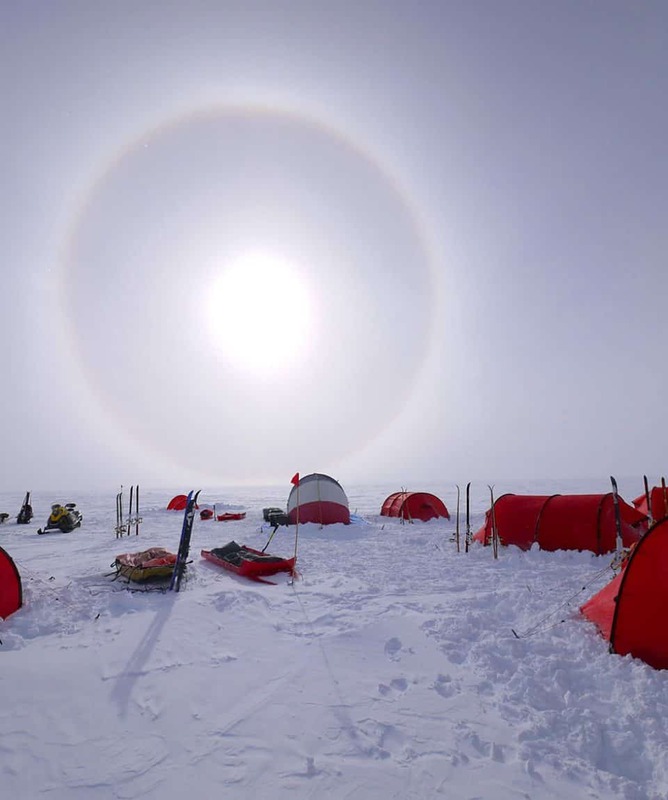 In the Southern Hemisphere summer, when the sun is in the sky 24 hours each day; Our expedition partner is operating an expedition on skis across the vast expanse of Antarctica from the edge of the continent to the South Pole. This overland journey takes some 62 days and will be both challenging and exhilarating; a journey that will give us a lifetime of memories. Who Will Lead the Expedition? The expedition team includes experienced Arctic/Antarctic guides, whose knowledge and expertise is imperative in making these expeditions a success. The guides for each trek are confirmed 6 months prior to departure time. The team will meet in Punta Arenas on the southern tip of Chile. 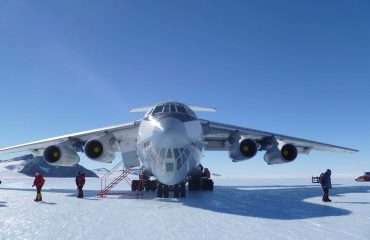 After food and equipment preparations are finalised, we fly an ice runway on the Antarctic Continent which is a flight of around four hours. 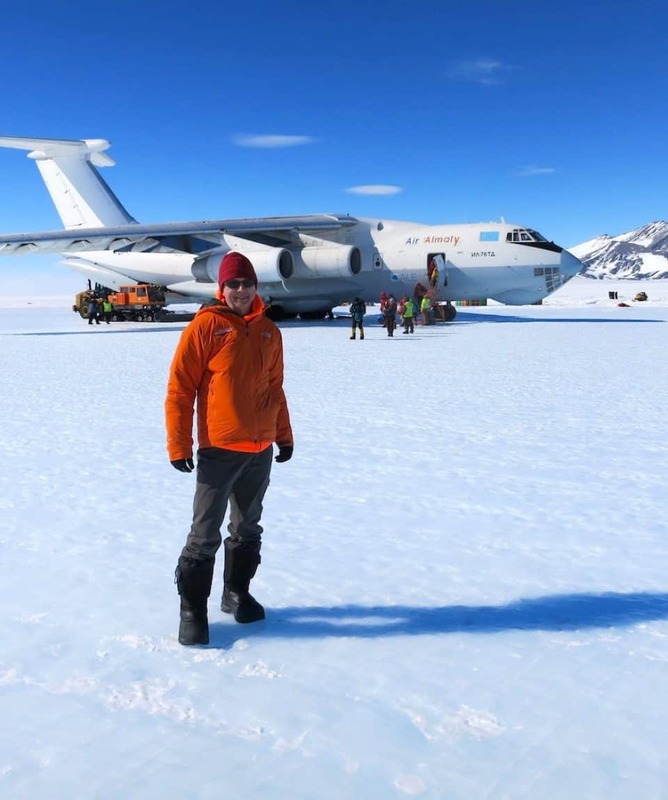 This landing site is known as Union Glacier and is the base for our air transport provided by Antarctic Logistics Expeditions (ALE), a company with 15 years’ experience in providing air support on the Antarctic Continent. After final preparations and fine-tuning at Union Glacier, we fly by ski-plane to the Hercules Inlet to begin our trek south. Skis will be worn for the entirety of the expedition (with a few possible exceptions) which will be the telemark type with ‘skins’ on the base for traction. When towing sleds, skins are preferable to the waxing method used for cross-country skiing. This is where the adventure really begins. 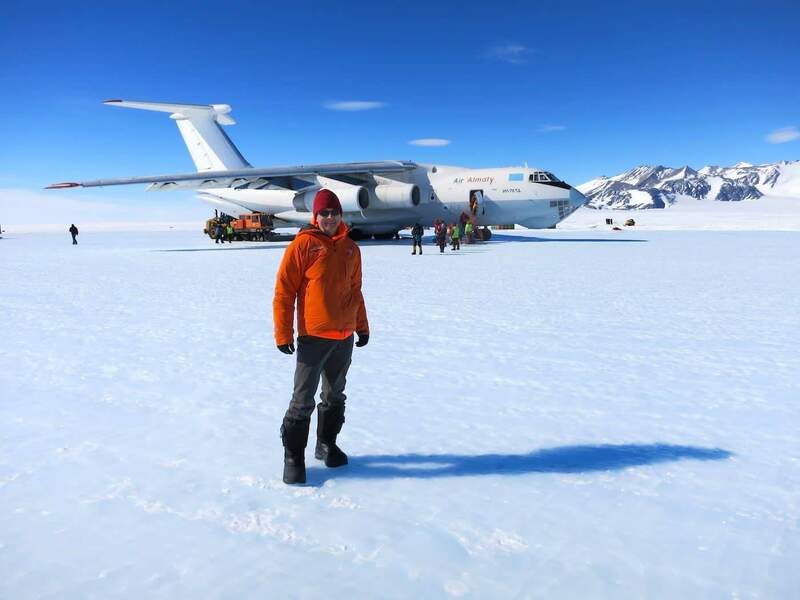 The plane departs and we are left to the silence of the Antarctic, and the huge task of walking the 1170km/730 miles over the next two months to the South Pole! We quickly settle into a routine of 1hr marches with short breaks in-between. Now and again, a rocky summit adds some contrast to the landscape as we reach our halfway point at the Thiel Mountains, approximately 25 days into the journey. Navigation will be accomplished using GPS navigation equipment to ensure an accurate route to the pole. 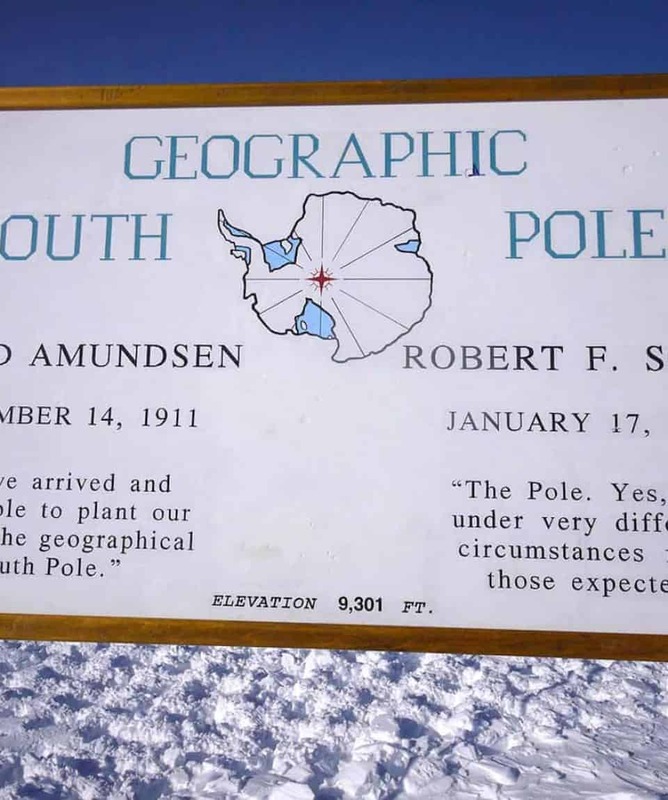 The terrain between the Thiel Mountains and the South Pole consists of mostly flat terrain, yet we are eventually climbing to over 9000 feet; the height of the pole itself. For the most part, the snow will be smooth and flat interspersed with extensive wind affected sastrugi snowfields. We pass several mountain ranges along the way and navigate through only one major crevasse field for which we have a proven GPS plan. 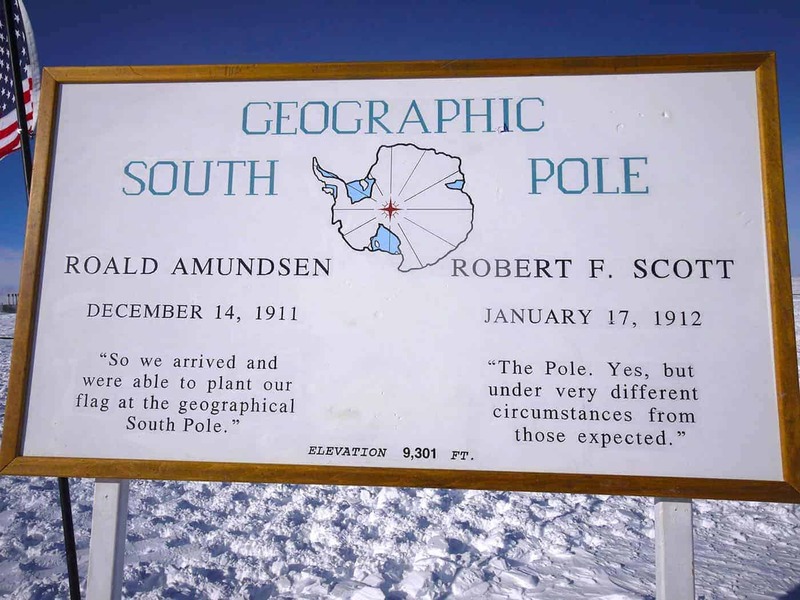 The terrain eventually climbs gradually onto the polar plateau for the final leg through to the South Pole itself. On arrival at the pole and the ensuing photo-fest, an aircraft will be dispatched to pick us up and return us to Union Glacier for the return flight to Chile. 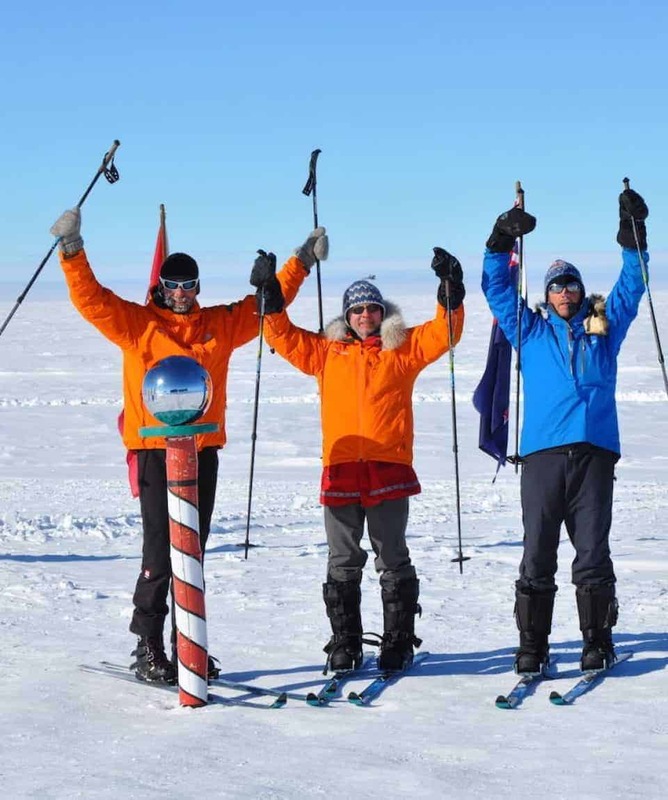 The South Pole All the Way expedition is for the most dedicated of polar travellers. 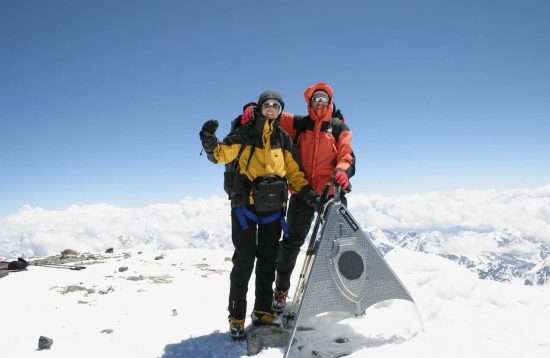 You need significant skiing and cold weather camping experience, along with a very high degree of fitness. 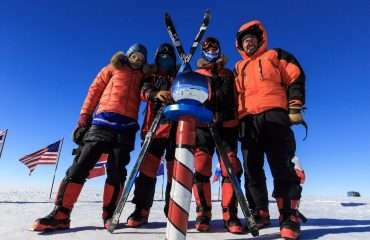 Typically candidates will have participated in cold weather ski expeditions of some length such as North Pole or South Pole Last Degree expeditions, or the Greenland Crossing. 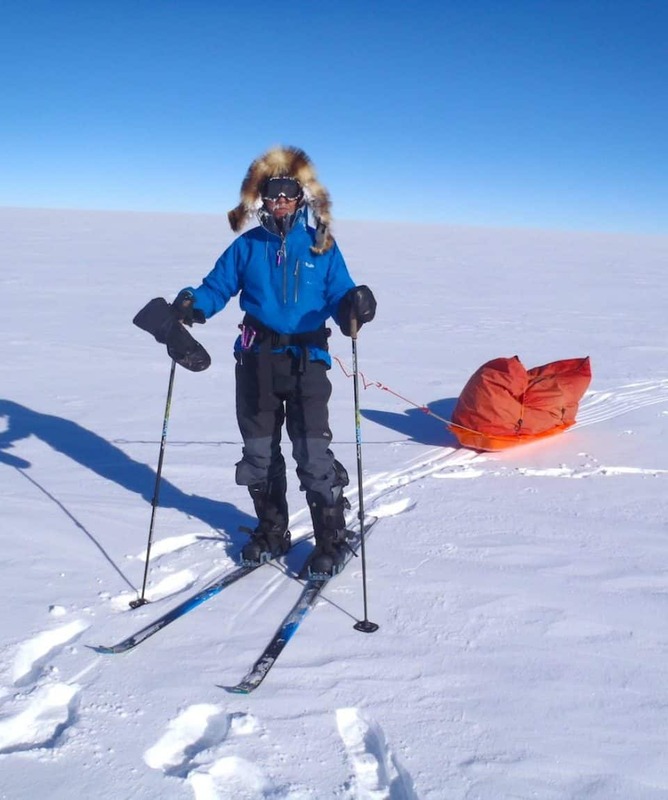 A high degree of discipline and diligence must be maintained throughout the expedition, skiing for 8-10 hours per day for 45-55 days in a row, with team members helping to set up camp and prepare meals. 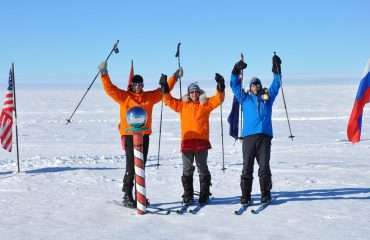 Rigorous daily training must be undertaken for 3-6 months prior to the expedition start. We require all participants to submit a resume of their ski expedition experience so that we can make appropriate suggestions for further training and ensure you get the most out of your expedition. Each member will have a high tech sled built specifically for Arctic/Antarctic use. These will be loaded with personal gear as well as a share of the expedition equipment. 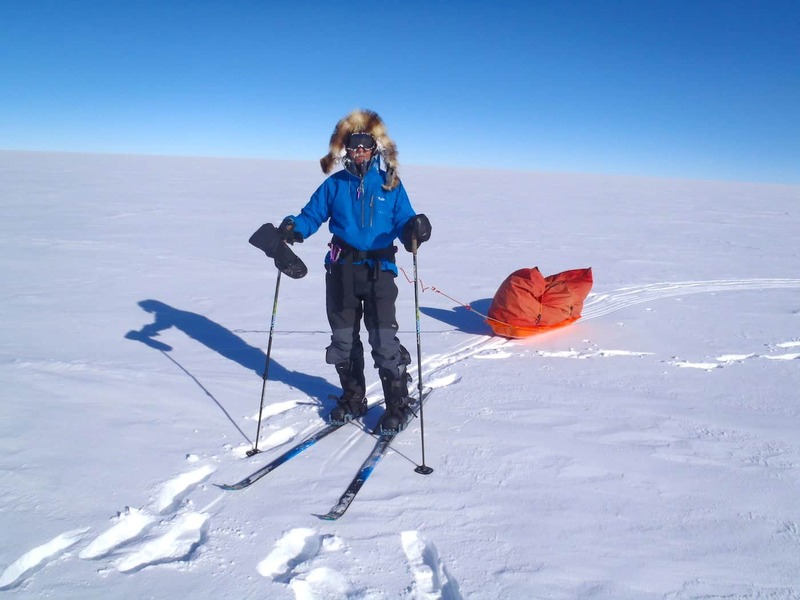 We utilise three pre-placed food caches enroute to minimise the weight of our sleds. 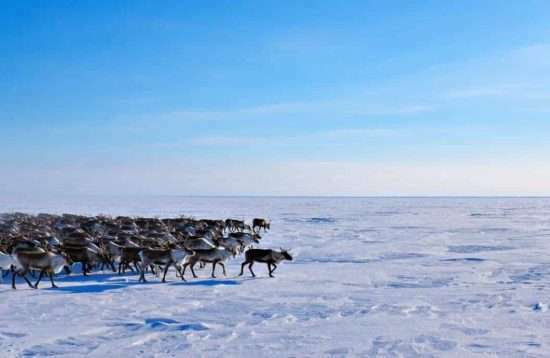 Each sled is estimated to weigh around 50-60kg/110-130lbs at the beginning of the phase, reducing over the duration of the expedition as food and fuel is consumed. The complete load is carried on the sled rather than carry a backpack. The expedition team members share tents and the chores of cooking. 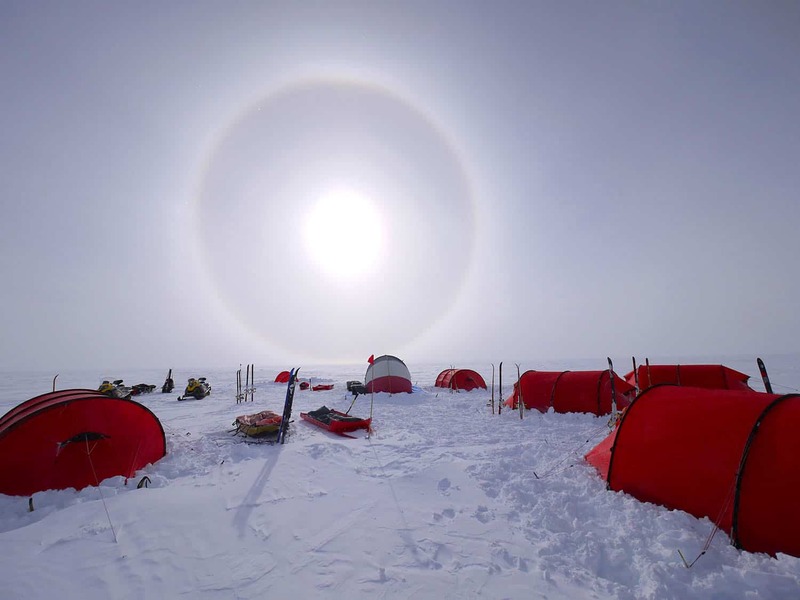 The coldest part of the day will be in the breakdown of the camp as we pack sleds and begin the daily trek. Each day we will move for 8-10 hours with regular rests for food and fluid intake. 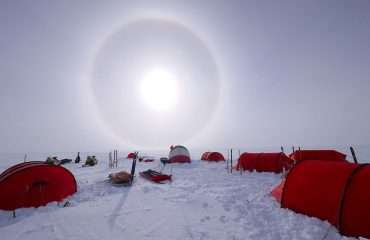 Once we reach our camping destination for the day, we set up the tents and build snow walls to protect the tents from wind. The effective temperature is defined by the strength of the wind as we are battling against the katabatic winds descending from the polar plateau. Temperatures will be in the range of –40 degrees C and F to 0 degrees C (32 degrees F). 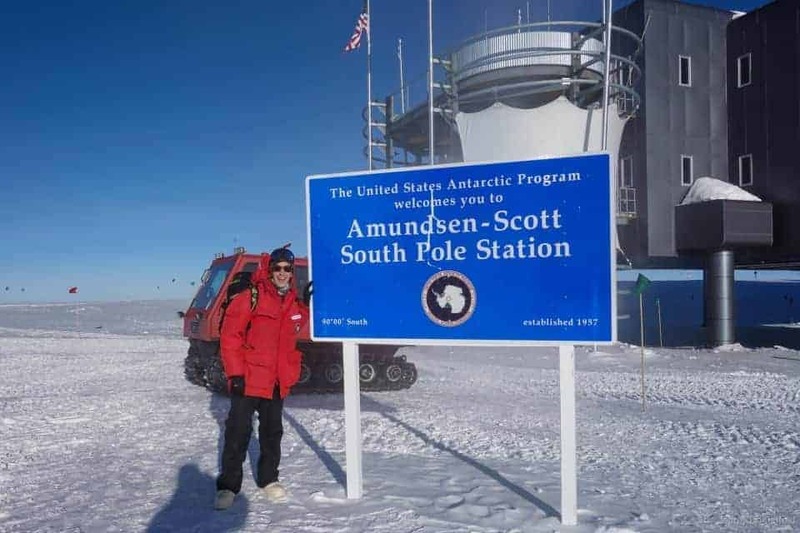 The temperatures will rise during the season but it is near the end of the expedition when we gain higher altitudes near the pole, that we will have the colder temperatures. Ultimately a lot will depend on the season and the general weather patterns. Weather analysis will be provided by experts in polar meteorology, which will assist us in being forewarned of major weather systems. For most of the trek members need only be clad in fleece clothing with windproof shells. Warm expedition mittens and hats will be necessary in addition to a facemask and fur ruff around the jacket hood to keep wind and blowing snow at bay. Lightweight down clothing will help members endure the cold starts and provide additional warmth (if needed) in the sleeping bag. We will supply all of the team equipment and you will only need your personal equipment. We supply sleds, tents, stoves, pots, food and fuel, ropes and sled harnesses, GPS and communication equipment. You will need to supply all your own clothing, sleeping gear and ski equipment. If you wish we can assist with the purchase of equipment and clothing suitable to the expedition. A full equipment list will be sent to you on confirmation of booking. We intend to carry the latest in satellite communication equipment facilitating good contact with the outside world. This also improves safety in that we have instant communications with ALE in the unlikely event an evacuation is required. It is possible for you to utilise our equipment or you may bring your own, but we request you confirm with us to establish power requirements can be met. It is possible for evacuations to take place along the route, if necessary. 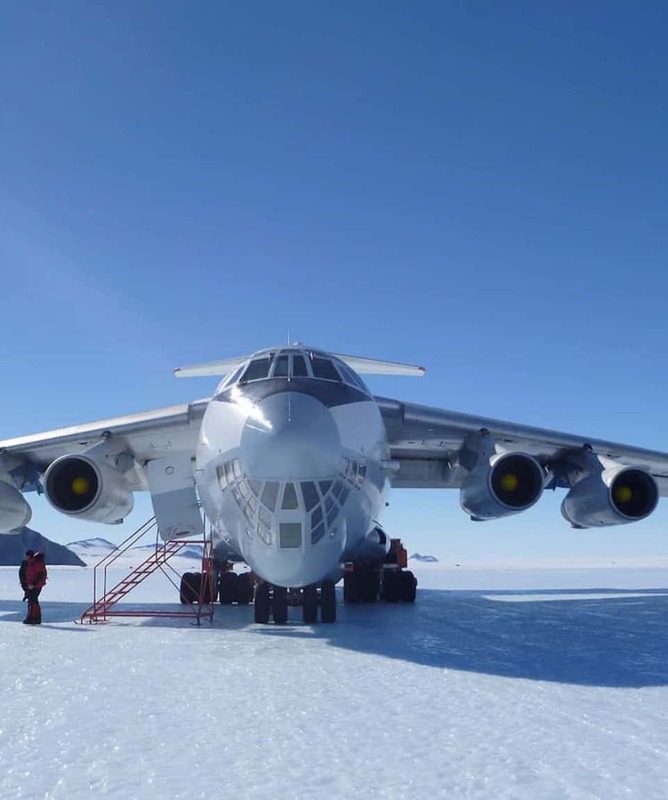 However there are areas with sufficient sastrugi to make aircraft landings impossible and anyone needing evacuation would need to be transported to a sastrugi free area for a pick-up, which may take days of travel. For this reason expedition members need to fully understand that evacuation is not an ‘on demand’ service and weather conditions can preclude flights for days or even weeks at a time. The best way to protect oneself against problems of this nature is to be fully prepared, both physically and mentally for an adventure of this magnitude. Additionally, an aircraft rescue can be very expensive and we require expedition members to be insured against this possibility. Excess baggage transportation charges of US$66.00 per kg for any baggage exceeding the personal equipment weight limit. We meet in Punta Arenas on the southern tip of Chile. 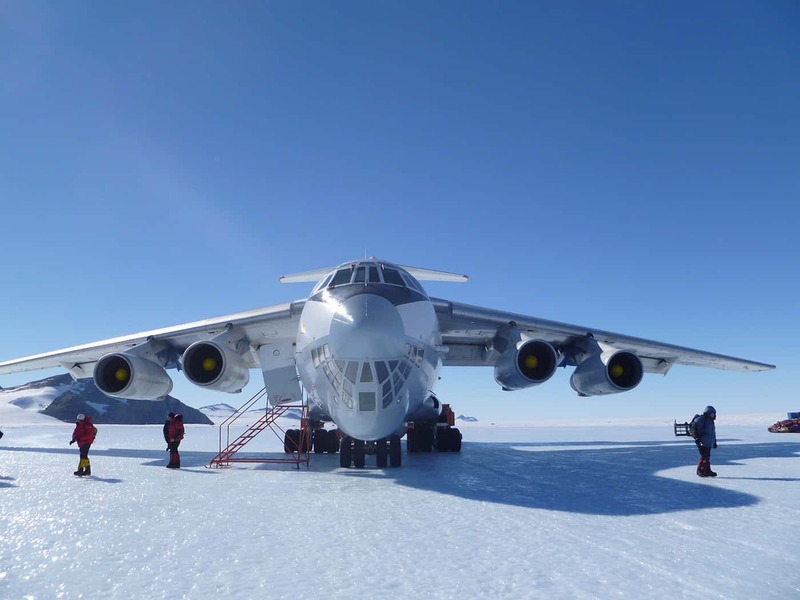 After food and equipment preparations are finalised we fly to Union Glacier, an ice runway on the Antarctic continent. After final preparations and fine-tuning at Union Glacier we fly by ski-plane to Hercules Inlet to begin our trek south. Skis will be worn for the entirety of the expedition (with a few possible exceptions) which will be the telemark type with ‘skins’ on the base for traction. When towing sleds, skins are preferable to the waxing method used for cross-country skiing. This is where the adventure really begins. 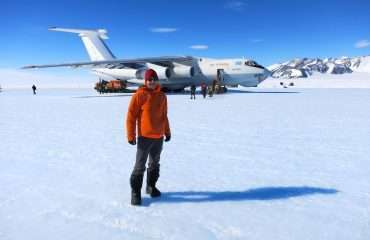 The plane departs and we are left to the silence of Antarctic and the huge task of walking the 1170km (730miles) over the next two months to the South Pole! We quickly settle into a routine of 1hr marches, with short breaks in-between. Now and again a rocky summit adds some contrast to the landscape as we reach our halfway point at the Thiel Mountains, approximately 25 days into the journey. Navigation will be accomplished using GPS navigation equipment to ensure an accurate route to the pole. 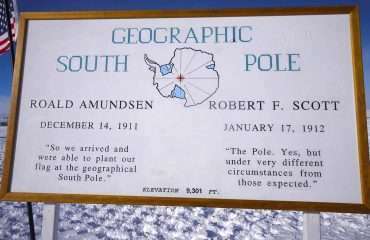 The terrain between the Thiel Mountains and the South Pole consists of mostly flat travel yet we are climbing eventually to over 9000 feet, the height of the pole itself. For the most part the snow will be smooth and flat interspersed with extensive wind affected sastrugi snowfields. We pass several mountain ranges along the way and navigate through only one major crevasse field for which we have a proven GPS plan. The terrain eventually climbs gradually onto the polar plateau for the final leg through to the South Pole itself. On arrival at the pole and the ensuing photo-fest, an aircraft will be dispatched to pick us up and return us to Union Glacier for the return flight to Chile.